Given a 3D model and a set of planar input contours, our system computes a stable, self-supporting wire sculpture. The physical prototype can be easily fabricated using a 2D wire bending machine and assembled without the need of connectors between crossing wires. We present a computational method for designing wire sculptures consisting of interlocking wires. 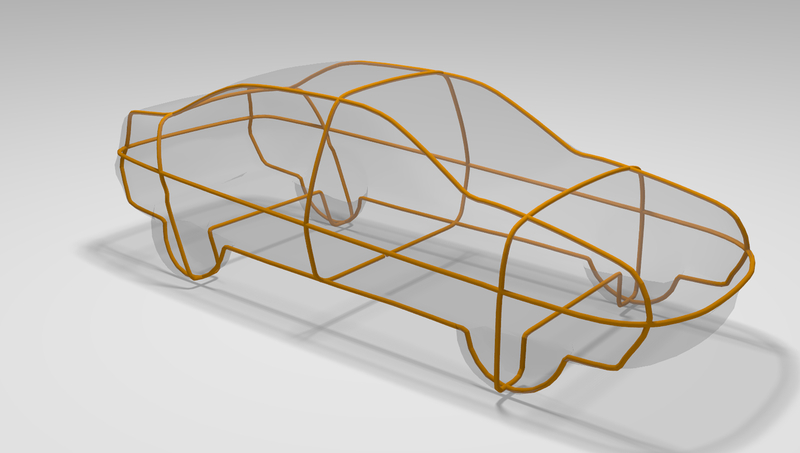 Our method allows the computation of aesthetically pleasing structures that are structurally stable, efficiently fabricatable with a 2D wire bending machine, and assemblable without the need of additional connectors. Starting from a set of planar contours provided by the user, our method automatically tests for the feasibility of a design, determines a discrete ordering of wires at intersection points, and optimizes for the rest shape of the individual wires to maximize structural stability under frictional contact. 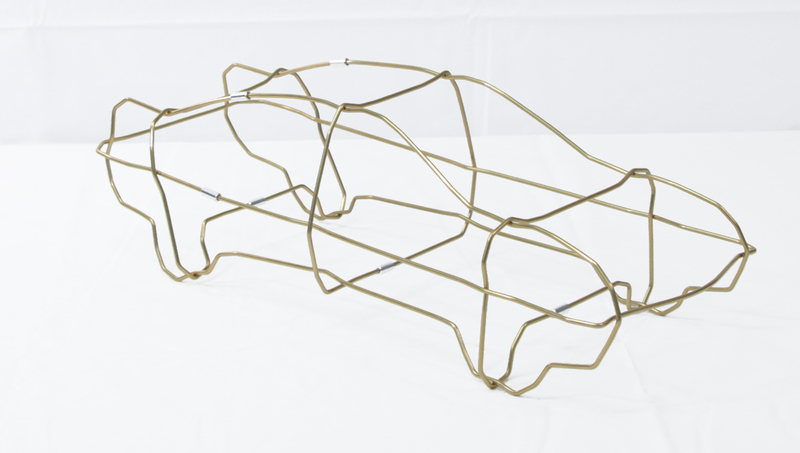 In addition to their application to art, wire sculptures present an extremely efficient and fast alternative for low-fidelity rapid prototyping because manufacturing time and required material linearly scales with the physical size of objects. We demonstrate the effectiveness of our approach on a varied set of examples, all of which we fabricated. We would like to thank everyone who contributed to this paper, especially Ruslan Guseinov, Thomas Auzinger and Ran Zhang for their help with the final demos and renders, as well as all proof-readers and anonymous reviewers. We thank Jakobi for allowing us to use the image of his dog wire sculpture. This project has received funding from the European Union’s Horizon 2020 research and innovation programme under grant agreement No 645599. Design and programming by Morten Bojsen-Hansen.